Did you know that Australia is the second highest producer of gold in the world? It brings in a whopping $15 billion to our economy each year. Analytical services play an essential role in the gold mining value chain, from exploring for new deposits through to running profitable extraction operations. 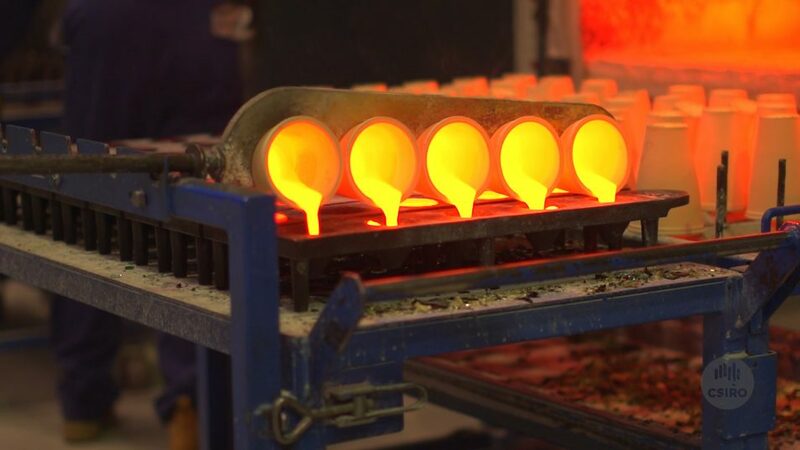 Since the middle ages the fire assay has been the gold standard in gold analysis, but thanks to a revolutionary new innovation we developed, this ancient technique may eventually be relegated to history. Called photon assay, this radical new system uses powerful x-rays to bombard rock samples and activate atoms of gold – and other metals – giving off unique atomic signatures which are detected by a highly sensitive detector. PhotonAssay is a faster, safer and more environmentally-friendly alternative to the conventional fire assay technique for gold analysis. Fully automated, it dramatically reduces the turnaround time on assays from days to minutes, providing critical data to miners on gold grades in near real-time to support operational decisions. After recognising the technology’s potential, we partnered with a consortium of investors to create new Australian company, Chrysos Corporation (from the Greek word chrysos meaning gold) in late 2016 to bring it to market. Working with Australia’s largest mining services company, Ausdrill, Chrysos commissioned its first photon assay unit in early 2018. Chrysos CEO Dirk Treasure said that the company had a rapid growth plan and were well placed to disrupt the global gold analysis services market, offering near-real time, accurate analysis for the first time. “We have successfully progressed the photon assay technology from concept through to a deployed product in just 16 months,” Mr Treasure said. The first photon assay system is now operational at Ausdrill’s MinAnalytical facility in Perth. The system is able to analyse at least 50,000 gold samples a month, at a similar cost to conventional methods. While it is currently calibrated to evaluate gold, it can also be applied to a range of other minerals, including silver and copper. And Ausdrill has further plans to expand its offering. There are plans for two more systems to be established in the Kalgoorlie goldfields in the coming months and longer term plans to take the innovation to Africa. Is this the same technique as the Aztec system in the 80’s. They had (if I remember correctly) a 135 kV X-ray tube and with 4-5 Germanium-detectors in parallel reading the Au K-alfa at 69 keV, they achieved a 1 ppm gold detection limit in a 10 minute irradiation which is not enough to measure gold in tailings from a flotation plant. What detection limit can you reach with this system? How extraordinarily appropriate that the CEO’s name is Treasure! He/they are onto a wonderful thing with this photon assay, which promises to bring loads of treasure to the investors; I do hope CSIRO is going to get its share of on-going royalties.